NEW BEGINNINGS-IT TAKES COURAGE TO CHANGE ©: WHOSE TENT DO YOU DWELL IN? Whose Table Are You Seated At and Eating From? I must confess that every time the road became crooked, every time situations became rough, when issues became confusing, every time people get jealous and began to act on the ways of their mean-selfish hearts, every time someone made my rode uneven and unsure....God stepped in and brought stability and balance to my life so that I could continue to seamlessly move along my journey. He will send His love ahead of you. Everytime I got in my own way, God stepped in. One thing about doing that--I don't do it much anymore. How I stopped -- I made up my mind that no matter what, I would trust God. And thus, I left the tent of rebellion. I have to thank God for the people that were planted on the rode before me, for they give me shade and a long drink of water on a hot day. I have to thank God that His Holy Spirit gives me all that I need as long as I yield to Him. Which, without hesitation or apology, I Do. I have got to praise the name of The Lord, for within His tent do I rest and dwell. He is the Only tent of Truth that will bring justice to the injustices done, He is the Only tent of Truth that will bring conviction and correction to my enemies as He blocks all the weapons they form to kill me with. I gladly go into His tent to speak to Him about my weaknesses, as it says in 2 Cor 12:9, My weaknesses and shortcomings are like magnets for Your power Lord. Thank You Jesus that I am not ashamed of Your Gospel. I dwell in Your Tent of Truth and talk to You about the concerns of my heart. I also dwell in Your Tent of Truth to be corrected by You. amen. Isn't that just awesome? He "Tabernacled among us" I like the way that sounds. He is covering those that seek Him and lay at the altar their ashes for His beauty. To dwell in the tent of Beauty. Let us look at our lives thinking about what tents have you dwelled in as you have been on your journey? And what tents are you dwelling in now? Whose tent? Whose covering are you under? There are times in many of our lives where we begin to dwell in the wrong tents. These tents may belong to people that are not in line with God's ways. These tents may belong to people that are actually working against God and His purposes. A rebellious tent. Sometimes, people may set up their own tents in order to draw a crowd around them, trying to buy the gifts of God from those that have them. Trying to sell their wares in the name of Jesus. 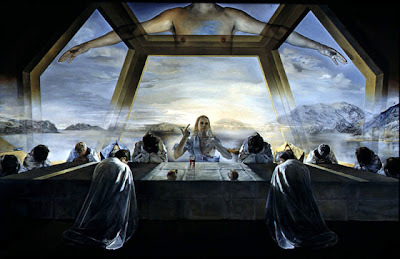 (Acts 8:9-24) A tent of trickery. Sometimes we dwell in the tents of our own making, by weaving our sorrows, our hurts, our pain, and confusion. We use thread spun from our fears and pent up anger to sew ourselves up in these tents. Which we at times retreat to when the concerns and responsibilitlies are seemingly overwhelming. Sometimes we may see ourselves as grasshoppers up against giants. These tents that many people have created to hide in and take cover in; end up being traps, prisons and spaces that only echo the negative aspects of their lives. Listening to the mistakes that you have made in the past--listening to the details of 'who did what to you', over and over and over is a slow painful, torture filled death. When a person thinks on the wrongs of their lives too much, the death I mentioned is what they are living. When you dwell in any tent that is Not the tent of Jesus-there is no permanent healing taking place. You may feel better when you return to the world, but that is not going to last for long. When you run from the truth, walking on fears and not faith, nothing is ever healed. So it will always come back up, over and over through out your life and it will always be heavier than the last time it re-surfaced. Only this time when these lies, and negatives re-surface that live in your heart, you have the opportunity to do something different that will alter the outcome of this repeating sickness in your life. You can turn and run back into one of your handemade tents like always -or- you can call on Jesus, He that is a compass when you don't know where you are-let alone in which direction to move in. Running and hiding behind lies and wrong thinking will only get you turned around and worn out. Facing the truth is a healing, that will bring growth and strength. Sitting at the table with the Lord, In His tent, suping with Him is facing the truths that keep us out of the rebellious tent. Go to His tent-Sit down at His Table and sup with Him. Your chair is waiting for you-you have a standing invitation! Go and Listen to Him speak to your spirit and heart. He already knows what concerns your heart, so just go and sit and listen, rest in Him, learn from Him. He will heal what pains you-what troubles you-what you fear, if only you will believe. But I will save that for the next time. Richard Smallwood & Vision - "Faith"
Richard Smallwood & Vision - "All The Glory"
Richard Smallwood & Vision - "Feast of the Lord/At The Table"